Hardcover, 9 x 11.5 in. / 224 pgs / 200 color. "All the things I am attracted to are just about to disappear." 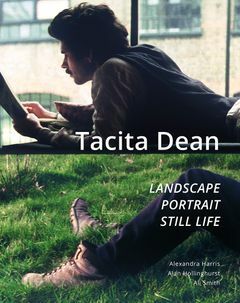 British artist Tacita Dean (born 1964) first came to the attention of the art world with her surrealistic 16-mm film “The Story of Beard” (1992), making a name for herself as part of the Young British Artists generation—even if Dean’s slow, subtle films would seem to have little in common with the raucous works of her peers. Dean was nominated for the Turner Prize in 1998 and has since been a vocal advocate for the medium of film. In 2018, Dean brings major exhibitions to three of London’s leading art institutions: the National Gallery, the National Portrait Gallery and the Royal Academy of Arts. Each exhibition will provide an encounter with the filmmaker’s work through a different lens: landscape, portrait and still life. 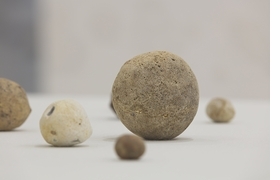 Tacita Dean: Landscape, Portrait, Still Life unites the three exhibitions in one stunning survey volume. Works drawn from Dean’s entire career to the present day are brought together with texts by leading writers Alexandra Harris, Alan Hollinghurst and Ali Smith providing unique insights into Dean’s vision. Dean is a genuine experimenter. Her withholding of narrative satisfaction forces you to find pleasure in atmosphere and structure, and it really is pleasurable. FORMAT: Hbk, 9 x 11.5 in. / 224 pgs / 200 color.